Wide receiver Michael Floyd, then of the Arizona Cardinals, on Jan. 16, 2016, in Glendale, Ariz. 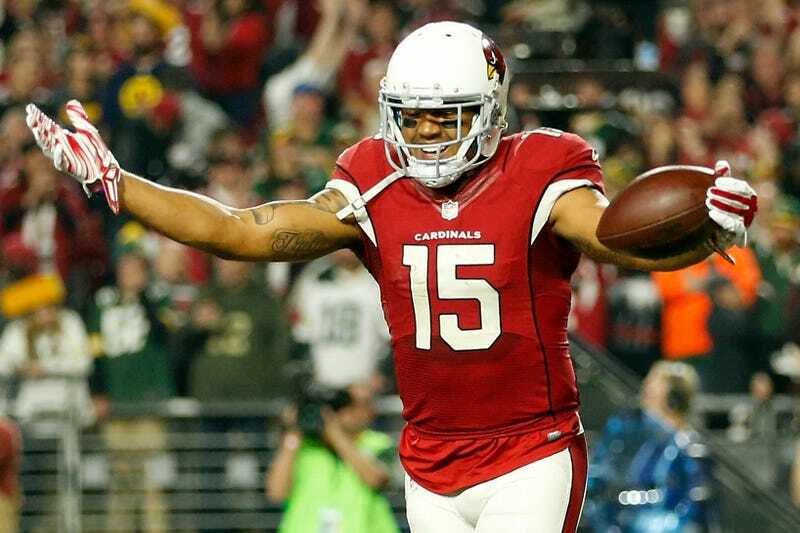 Wide receiver Michael Floyd, who was cut by the Arizona Cardinals a day after being arrested for driving under the influence, was only without a team for a few days before the New England Patriots came calling and claimed him off waivers. But the Pats may want to see if Floyd has a return policy, since he was officially charged Monday with obstructing a roadway, DUI with a blood alcohol content over .08 and failure to obey an officer, according to ABC 15. Police body-camera footage also showed Floyd unconscious in his car at a stoplight. ABC 15 reports that police were called to a Scottsdale, Ariz., intersection on Dec. 12 at 2:48 a.m. after a vehicle did not move although the light had turned green several times. Police say they arrived to find Floyd unconscious behind the wheel of a black Cadillac Escalade near Goldwater Boulevard and Camelback Road. The news station reports that the car was in drive and Floyd's foot was on the brake when police arrived.